We're in the depths of winter here in SE QLD - which means that spring is just around the corner! The days are already getting longer, so finish all those garden housekeeping and construction jobs on your list (see entry for June). Then you'll have plenty of time to visit all the garden shows and open gardens in the months ahead, or just relax and enjoy your garden. 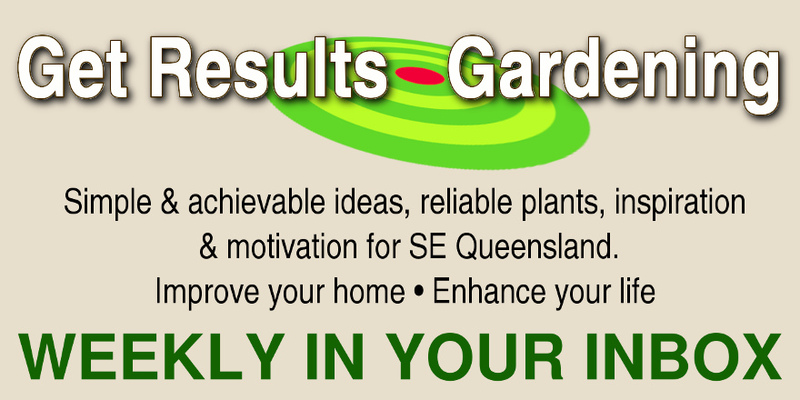 July is the main month for pruning roses in SE QLD. The exceptions are those old-fashioned varieties that flower once in spring (e.g. Banksia roses). Refrain from pruning those - if pruning is necessary - until after flowering. Likewise, pruning any other spring-flowering shrubs and climbers now will mean loss of flowers for the year, so hold your fire from species such as Azaleas, Brunfelsia (Yesterday Today Tomorrow), Raphiolepis, Jasmine, Rondeletia amoena, Port Wine Magnolia, Loropetalum, Viburnum, Wisteria, and the spring-flowering varieties of White May (Spiraea). On the other hand, summer-flowering shrubs could be pruned now in frost-free areas, e.g. oleander, allamanda, abelia, plumbago, crepe myrtle as well as foliage and hedging plants like acalypha and duranta. However, if you're in a cold district you may prefer to wait until warm weather is imminent so that foliage is restored faster. If frost is a threat, wait until all danger is past, to avoid damage to tender new growth. Prune frangipani (if necessary) now that they are relatively dormant. Healthy pieces, even quite large ones, can be used to strike new plants very easily after they've been left in a dry place for a week or two for the cut ends to dry and seal. If there are still fallen leaves on the ground, collect them and put them in the household rubbish to reduce incidence of re-infection with frangipani rust. Citrus don't generally need a lot of pruning, but it's a good time to selectively prune for size and shape and to remove dead and unhealthy wood. This includes swellings caused by the gall wasp. Vegetable seeds planted in cold wet soils will be slow to take off and vulnerable to rot. Short days are exacerbated by the long shadows of winter - a problem hard to avoid in built-up areas. Neverthess, a variety of vegetables could be attempted - beetroot and silverbeet, cabbage and kale, carrots, lettuce, radish, peas. Provided there is no frost, also tomatoes and capsicums, beans, cucurbits. Get ahead of the season by finding a warm, frost-free spot to start summer vegetables like tomato, eggplant, capsicums and cucurbits in pots. Cucurbits in individual pots will allow you to plant on without too much disturbance. However, forget about true hot weather crops like sweetcorn for now - wait until the weather warms up (Sept/Oct) and sow direct. If space is limited, starting seeds in small pots can also help you to increase productivity. It allows you to get a new crop started while the previous one is still being harvested. You might even choose to grow some edibles entirely in large pots and planters, allowing to you make use of patio and courtyards, areas of heavy tree root infestation and other spaces that would otherwise be unsuitable for cultivation. Meanwhile, if you have empty vegetable beds, apply lime or dolomite if they haven't been treated in a few years, especially is you're going to be planting beans in a few weeks. See what's in the Events Diary for July.